After releasing the special K.J. Parker issue of their magazine Subterranean Press recently announced two new titles coming from this talented writer. “Academic Exercises” is a collection of short stories and novellas spanning over 670 pages and set to be released next year, while “Savages” is a new original novel nearly as long as the collection and coming in 2015. 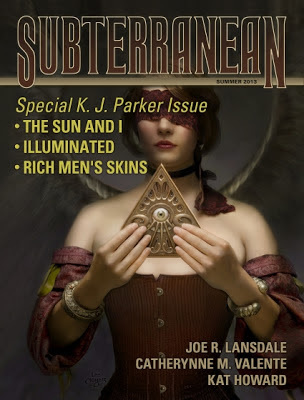 Subterranean Press will release both K.J. Parker’s new books and there is no information yet if there are mass-market editions scheduled to be released too.